With Islamophobia in India and around the world growing by the day, I’ve started work on a project to break the enduring stereotypes about Muslims and the community. In today’s world Muslims at large are becoming victims of sweeping generalisations, wrongly perceived as a threat to society and thus framed as terrorists and terrorist sympathisers. This documentation is about men who were falsely charged in terror cases and had to languish in jails for a long period of time, in many cases over a decade and now have been acquitted/discharged by the courts. 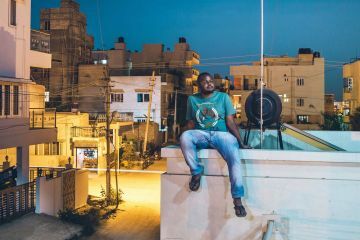 The project tries to show their life after being stamped as terrorists and how they are rehabilitating their lives now. 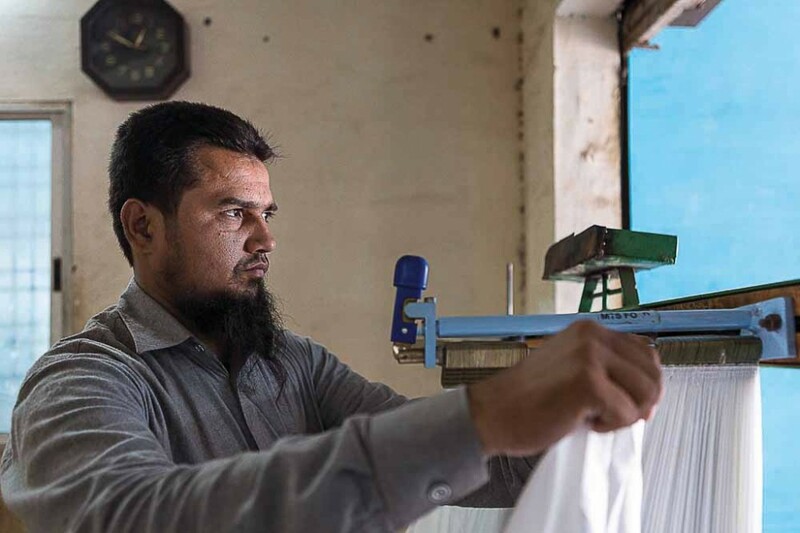 Noorul works at a powerloom to earn his daily bread. 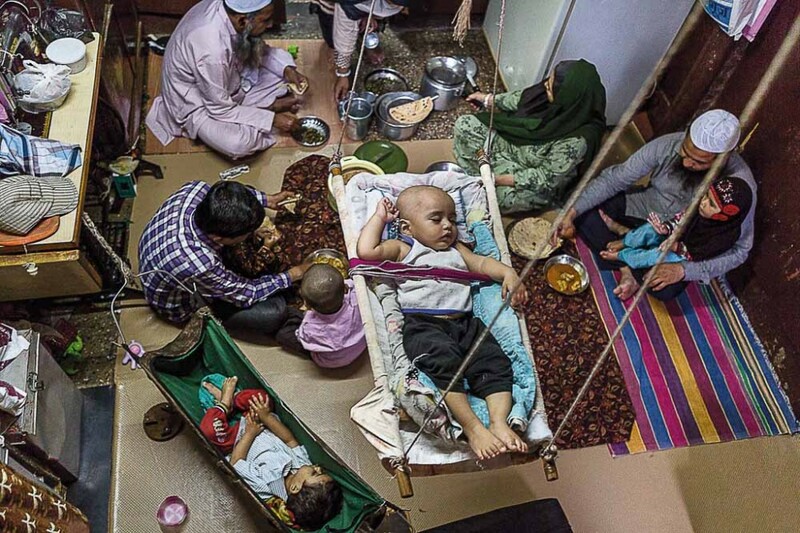 He shares a meal with his family at his house in Malegaon. On the upper swing bed is his son Muzakir, one. Daughter Mariyam, three, is on his lap having her lunch. 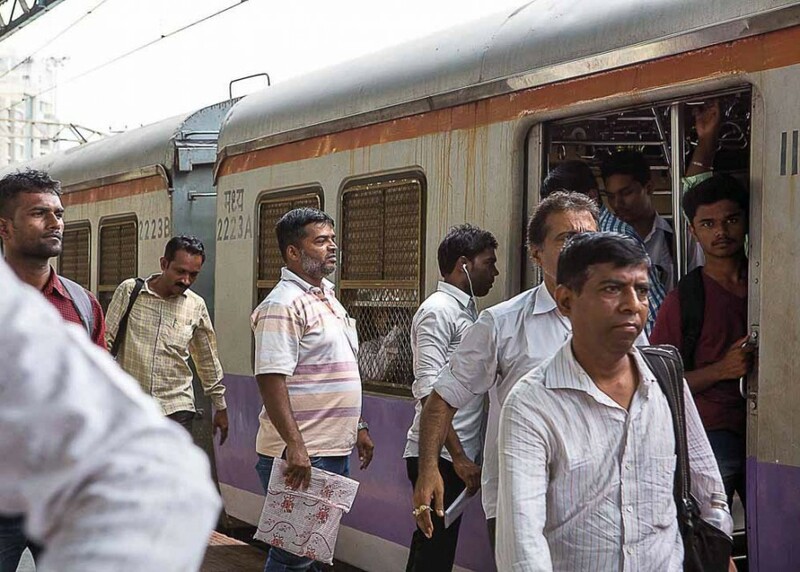 Dr. Farogh Magdumi was among the nine accused in the Malegaon blasts of 2006 and discharged with seven others in April 2016. 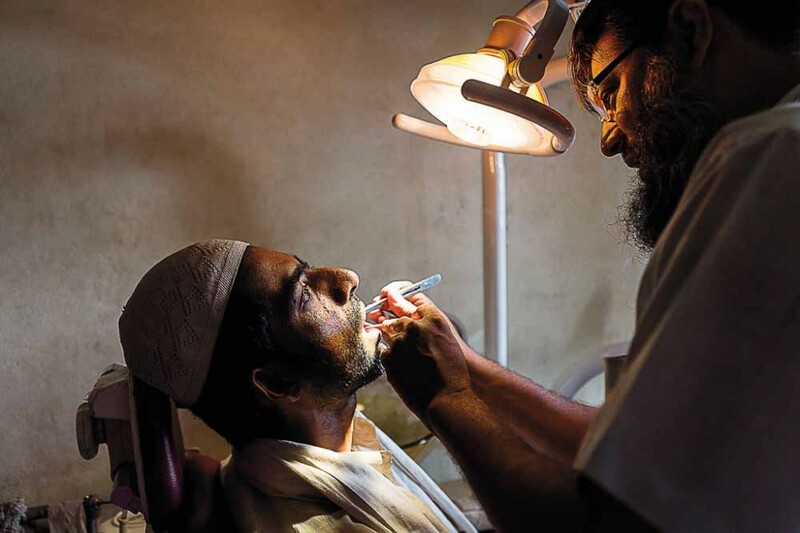 He is a Unani doctor with a diploma in ophthalmology and dentistry. 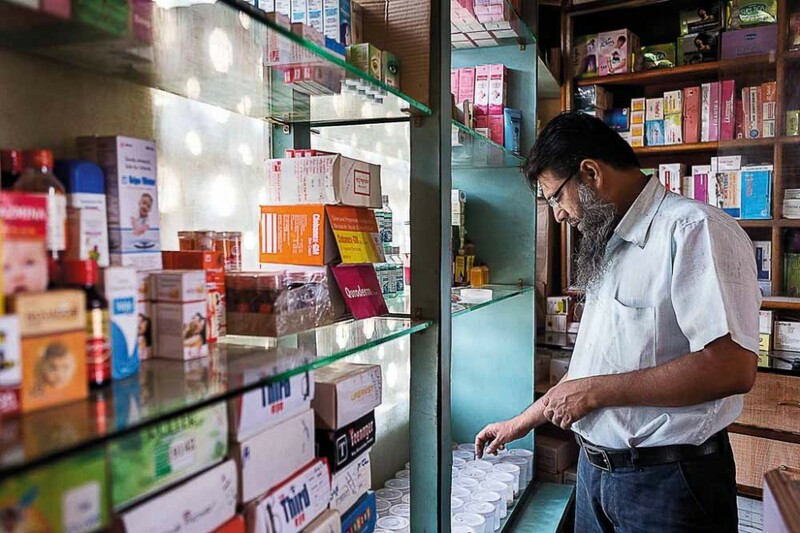 Dr. Farogh in his clinic. Practising one of his specialities, dentistry. 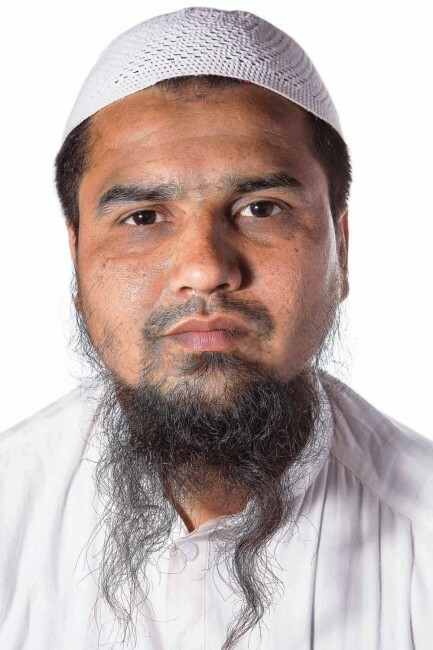 Abdul Wahiduddin Sheikh was implicated in the Mumbai 7/11 blasts and spent nine years in jail before acquittal in 2015. He is the only one acquitted among the 13 accused. Seven are facing life in prison and five face the death penalty. 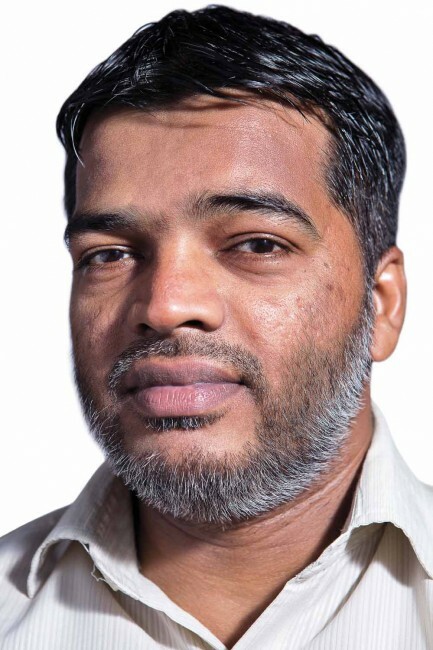 Wahid wrote an autobiographical work Begunah Qaidi (Innocent Prisoner) in Urdu which was recently translated into Hindi and is working to get the book translated into English as well. Abdul waits to board a local train. 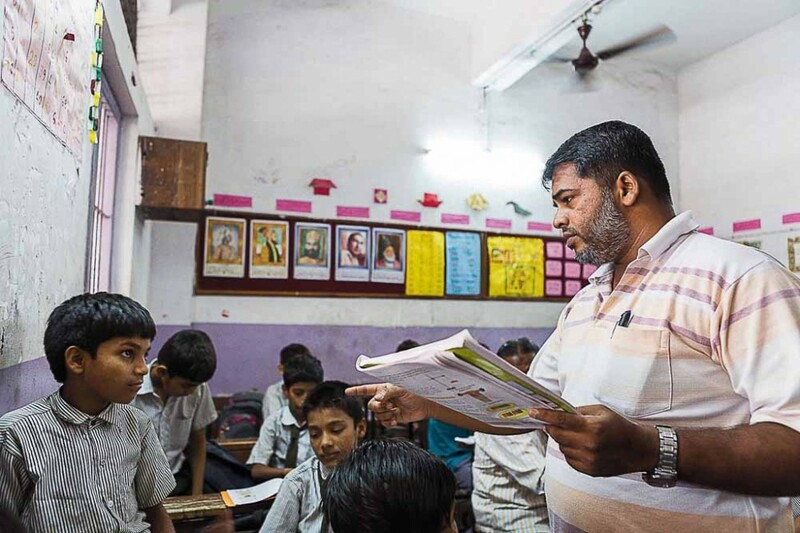 He teaches science at an Urdu medium school for the underprivileged and earns about ₹13,000 a month. 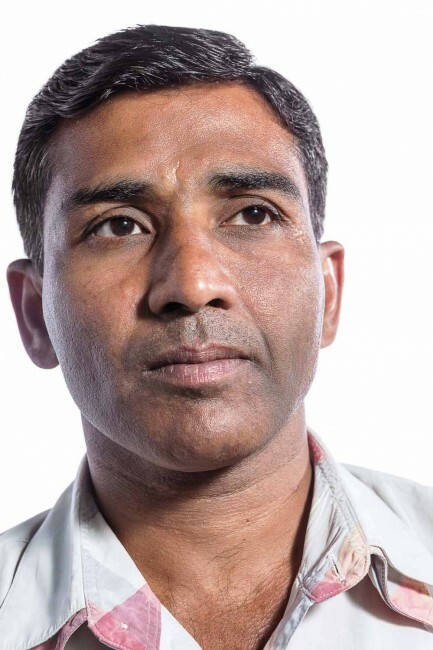 Friends and colleagues helped him get his job back and he is fighting to get compensation for his salary for the time he spent in jail on false charges. Md. 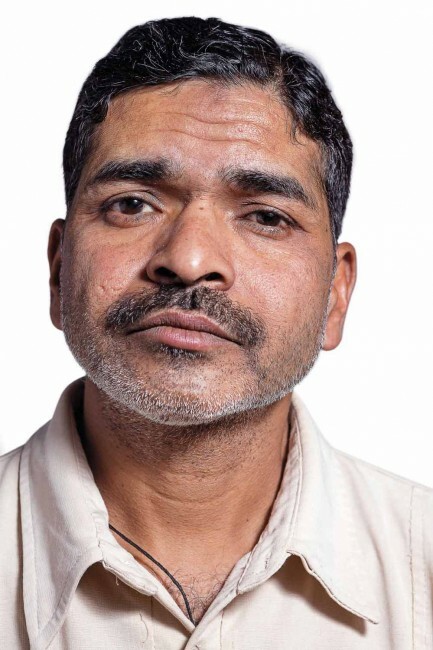 Javed Ali was accused of spying for Pakistan’s ISI and spent 11 years and seven months in jail before he was acquitted of all charges on January 18, 2014. The fact is that he fell in love with a distant relative in Pakistan on his first visit and started exchanging letters with her. 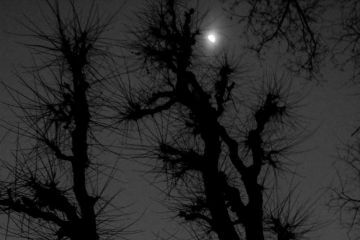 On returning to Rampur after his second visit to Pakistan he was picked up by Moradabad police and named an ISI spy along with four other friends who used to translate his letters from Urdu to Hindi. Javed at home having lunch. 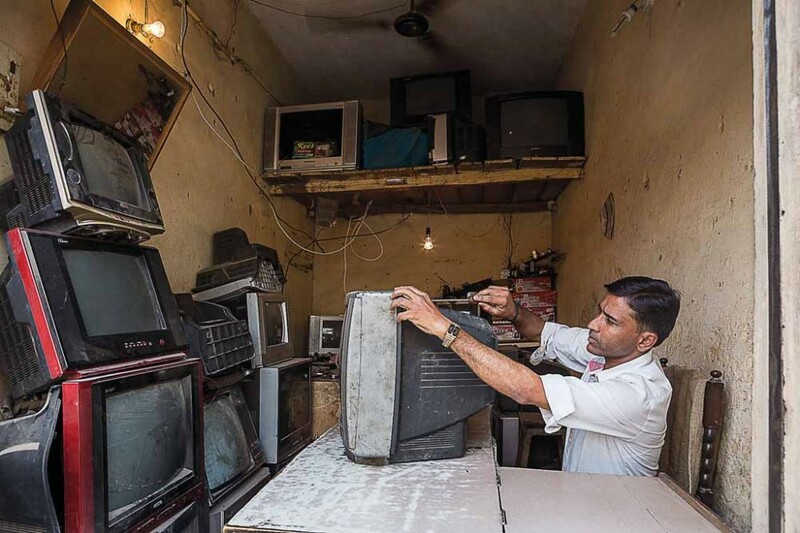 He works as a TV repair mechanic in Rampur and earns ₹200-350 a day. Javed Ali paid a high price for falling in love. Even the originals of the handwritten letters were confiscated in a raid. Javed used to get his letters translated into Hindi from Urdu by his friends (as he couldn’t read Urdu). This translated letter is the only one left with him. 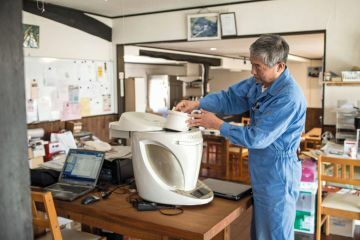 It was in his workshop at the time. 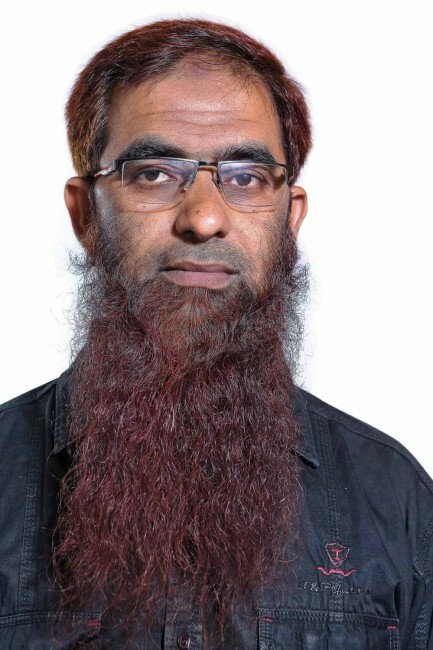 Taj Mohammed was also falsely accused along with Javed of spying for ISI. 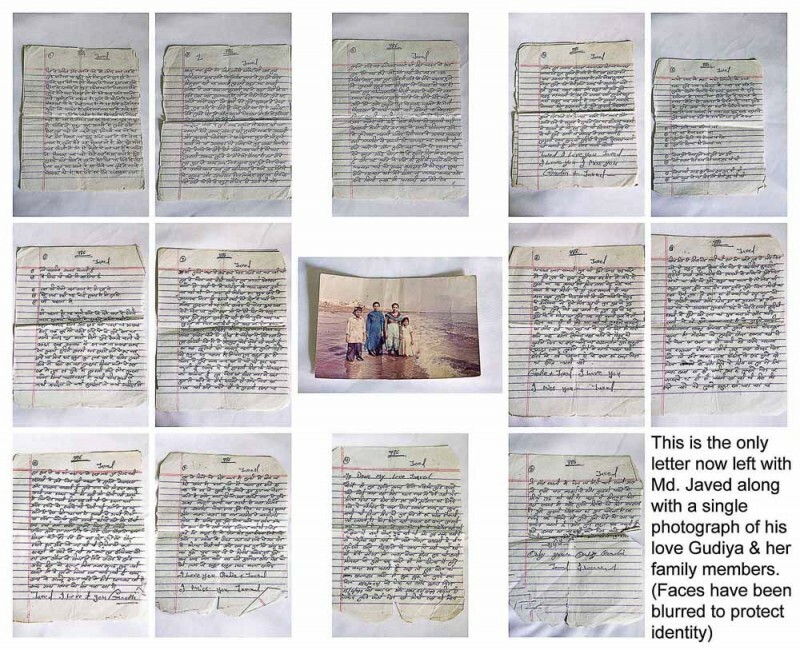 Taj used to translate Javed’s Urdu love letters into Hindi. He too spent 11 years and seven months in jail. He is struggling to make a living as a vendor selling biscuits on local trains between Rampur and Moradabad in Uttar Pradesh. 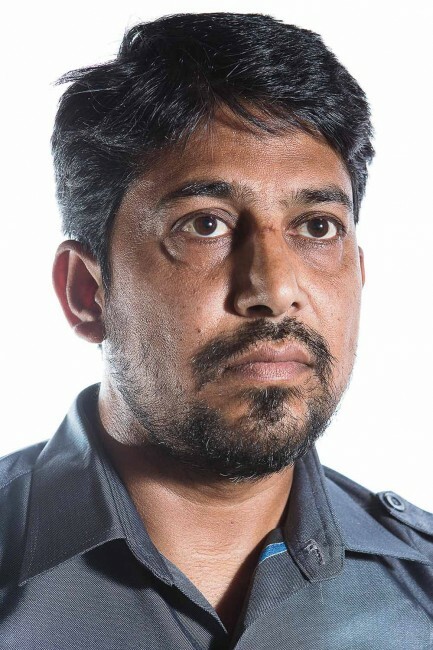 Irshad Ali worked as a police informer and was picked up in December 2005, detained illegally for weeks and then accused of a terror conspiracy. Acquitted after 11 years in jail on January 2017, Ali is trying to put his life back on track. 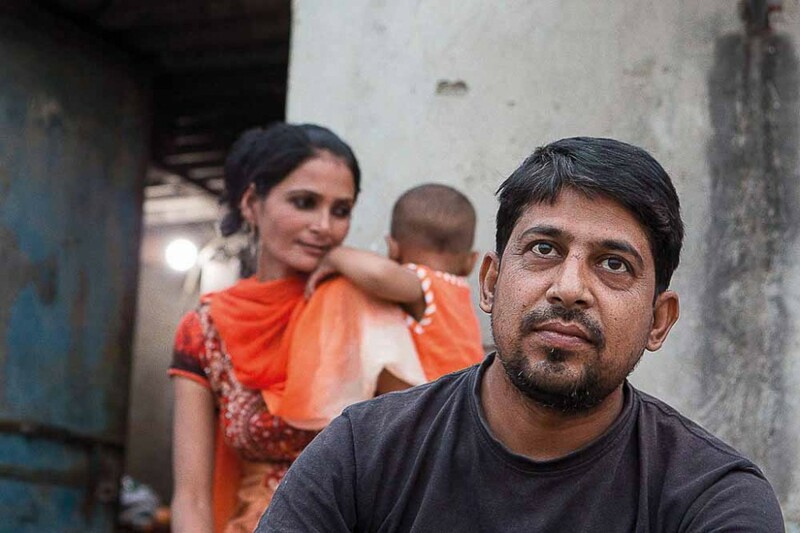 Irshad looks back at all that he lost in the decade he was in jail. 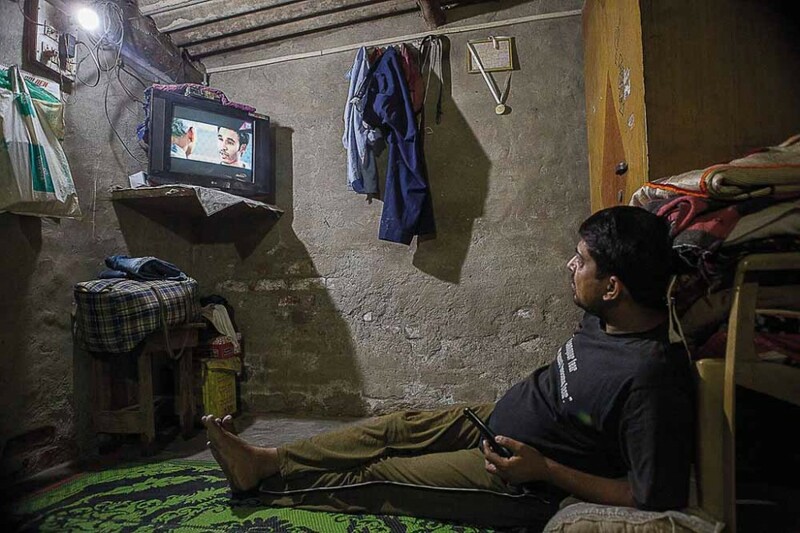 He spends his free time watching television inside his one-bedroom house in Delhi. 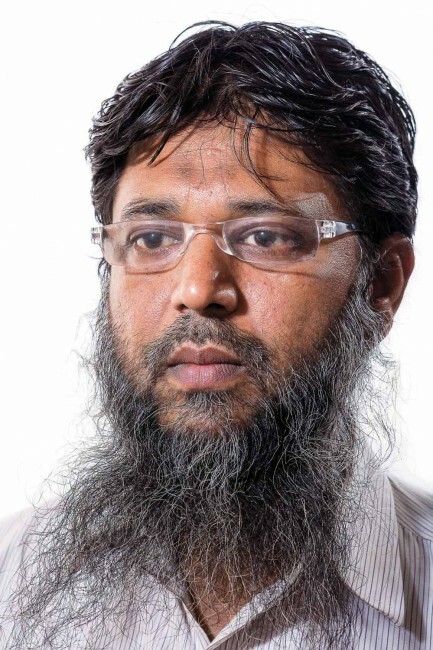 Nisaruddin Ahmed was implicated in the Hyderabad train blasts of 1993. He was acquitted after 23 years on April 16, 2016 by the Supreme Court. Nisar lost the prime years of his youth in jail. 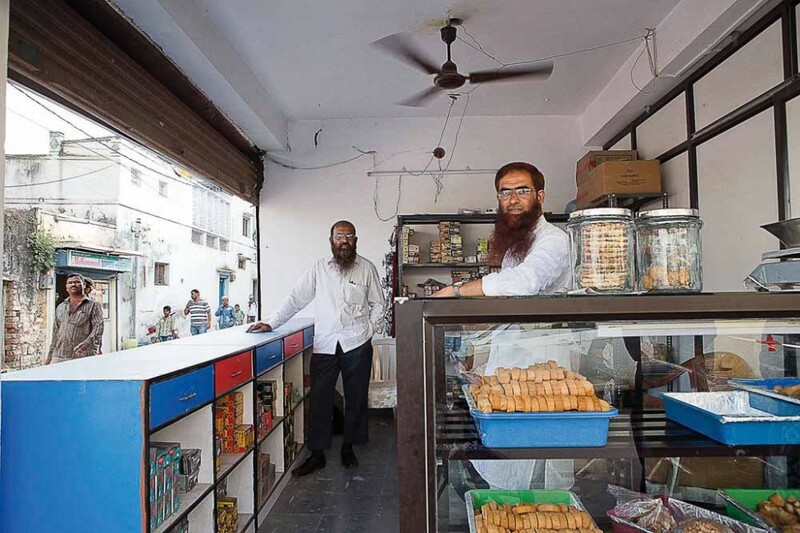 He runs a small shop selling bakery items with his brother Zaheer who sells locks in the same space. Nisar got married in February 2017. Zaheer and Nisar at their shop in Gulbarga, Karnataka. 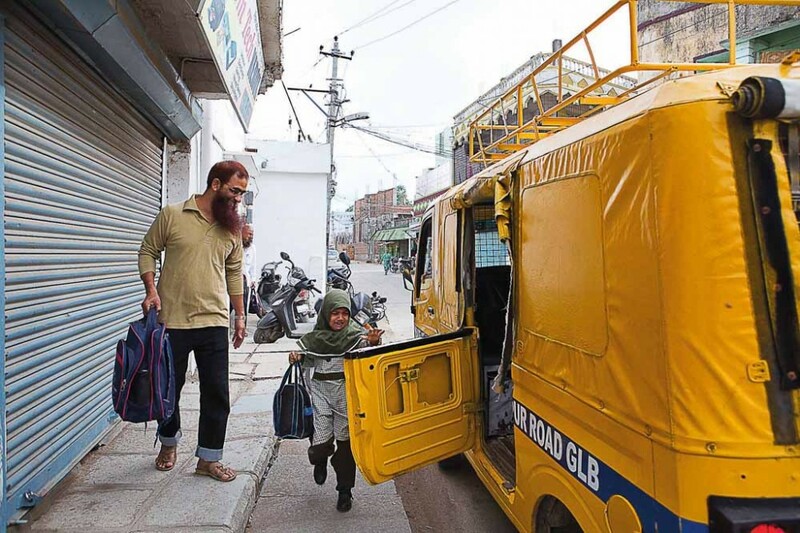 Nisar seeing off his niece to school in Gulbarga. born in 1988, is a software engineer by education and a strong believer in the visual medium. She wants to concentrate on stories of social relevance and aid public awareness. She is the recipient of Child Survival Media Award 2014-15 by National Foundation for India, and the Neel Dongre Grant for Excellence in Photography 2013 among others. The national attitude towards dark skin.